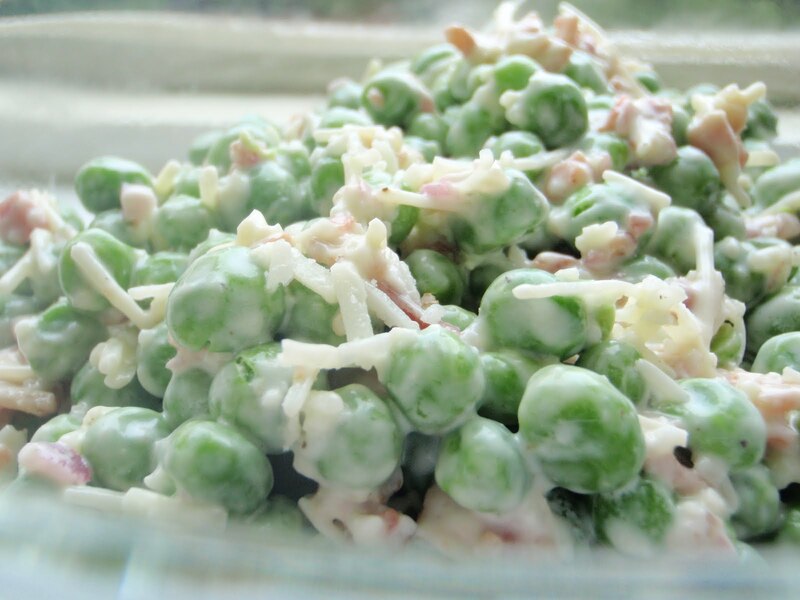 If you love green peas... try this cool recipe next time when you having guest over. always look for something difference and you never go wrong. Combine all ingredients in large mixing bowl and mix well, but lightly--don't mash the Peas! after you refrigerate this salad for about 2 hours check to see if it needs a little more mayonnaise. if you like add black pepper and a little sugar.